Well-maintained home located on 29th Street. Great front and back porches! 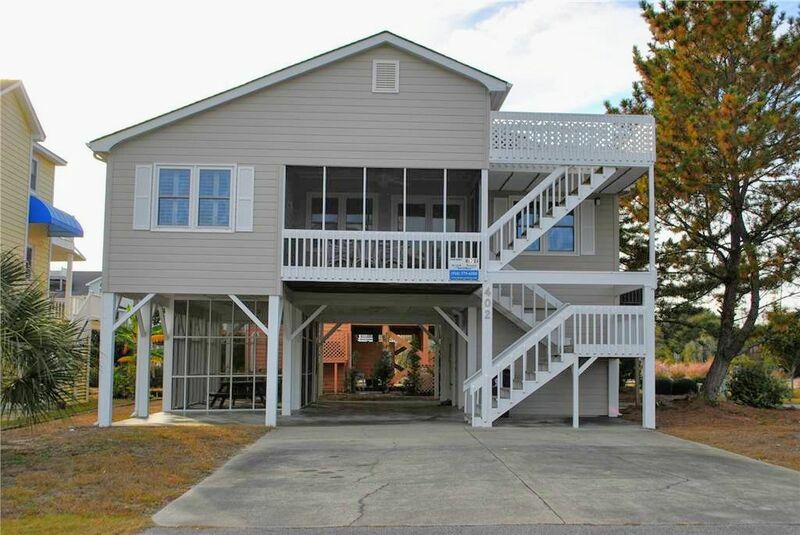 Home is located mid-island on Sunset Beach with just a short walk to the beach - and it is pet friendly (limit 2 dogs with nonrefundable fee). The house sleeps 8 in 4 bedrooms with a queen bed in each room. There are 2 full bathrooms. Other amenties include a new 55" SmartTV, updated appliance, Keurig coffee maker, high chair, and high speed wi-fi service..